As you already know, we really enjoyed cycling through Turkey as the camping was easy, the weather was great (mostly), and the people were incredibly friendly. Here is a summary of what we experienced through throughout those two months. 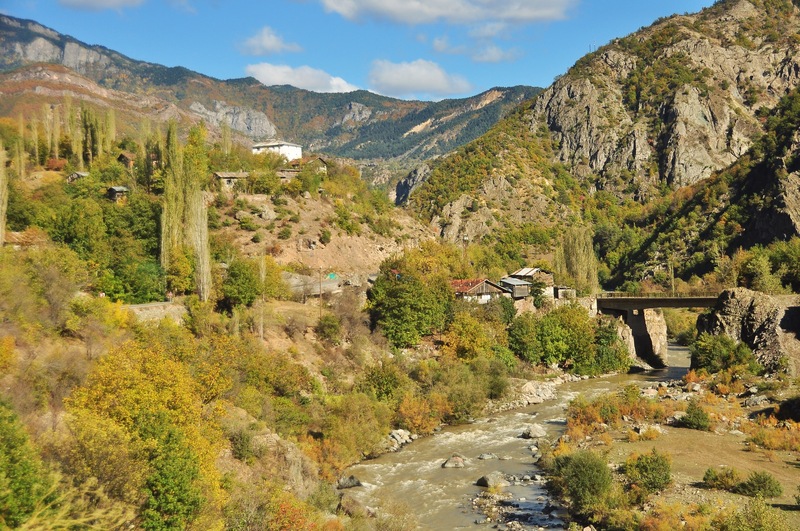 After entering into Turkey from Georgia (at the Batumi boarder) we decided to head straight south through the mountains (from Hopa, to Artvin, to Kars, and eventually, to Van), a region which turned out to be our favorite section of Turkey. We had beautiful sunny weather (October/November) yet it wasn’t too hot, and as we cycled over passes and into valleys, we were surrounded by trees of all colors with snow capped mountains in the back. From there we headed straight across Turkey which was a bit boring (monotone landscapes of small rolling hills without much vegetation) but never-the-less, the people were friendly and we found some wonderful camping spots in shepherds huts and fields along the way. 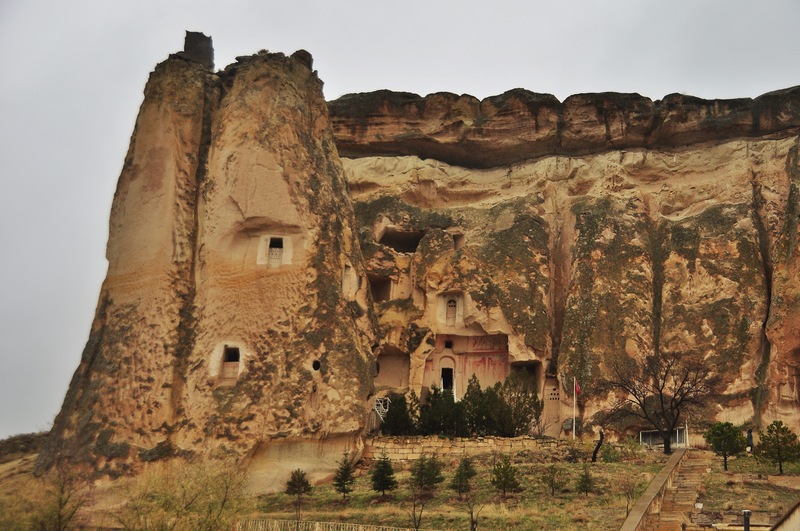 The very center of Turkey, Cappadocia, was somewhere we had heard about from everyone who had visited Turkey before, and sure enough, the funny rock formations and ancient underground cities and caves were fun to explore. We then continued to cycle across Turkey in order to reach Istanbul, but since we got snowed in after Konya, we hitchhiked out and ended up in Izmir. We then followed the coast, with a stop off in Bergama and Canakkale, before reaching the absolutely gigantic and busy city of Istanbul! 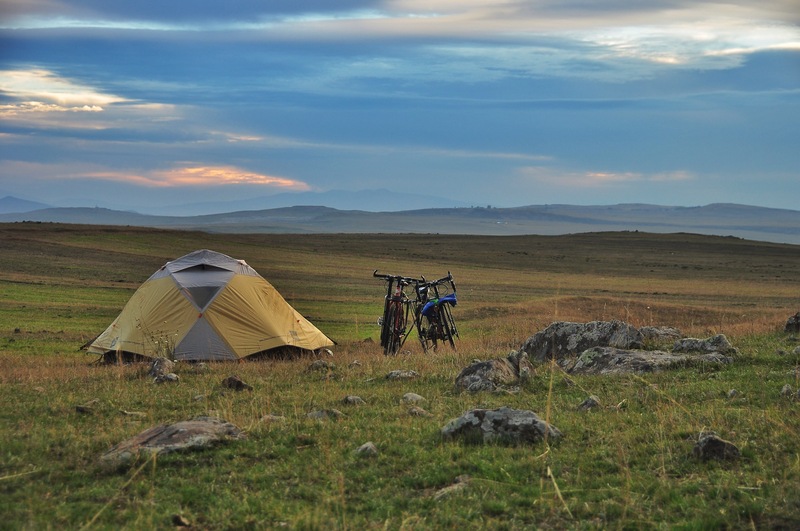 We had always heard cyclists rave about Turkish hospitality, and now that we have experienced it for ourselves, it’s no surprise to us that Turkey always ends up near the top of every cyclists favorite countries list. Especially in the east (where there isn’t much tourism and where it’s a bit more rural) we were invited for tea at least ten times a day from families, shops, and gas stations, and a few restaurants even gave us a free meal. We were also taken in by a few families for the night (or nights), which, like in every country, was our favorite part. We were taken in by a large family in the east where we ate delicious homemade Turkish food on the ground, and by two cyclists who really made us feel at home. We also stayed in a beautiful pension on the coast as “guests,” as well as with a really sweet family in Can. And last but not least, we stayed with a young and energetic cyclist in Turkey who was definitely one of our favorite people this trip. Each and every home stay we did was different and in turn, showed us a different aspect of Turkish culture and everyday life. Turkish food, famous around the world for its kebabs, really is as delicious as they say. 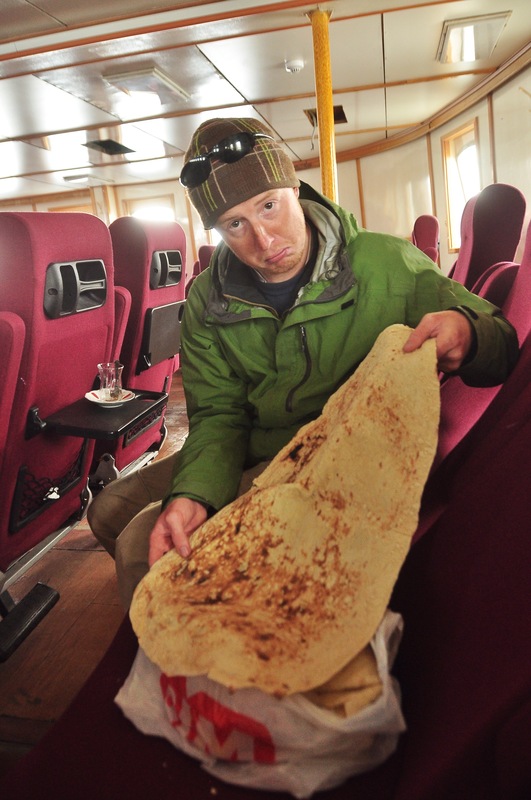 We ended up eating a whole lot of Turkish lentil soup (which always comes with unlimited bread) as we could find it almost everywhere for just two dollars each, as well as small durums or meat wraps which differed from place to place. We also occasionally sat down at a restaurant to eat kebabs, grilled meat on a stick, which usually came with rice, bread, and/or veggies, or pide, Turkish pizza. Out of all of the “Turkish foods” we ate the Turkish breakfast most often which is an assortment of different dips and foods such as olives, honey, cheese, jam, eggs (or anything else you can think of, each family lays out a different spread) along with bread. Turkey, like most countries, is a place where you can travel in luxury for hundreds of dollars a day or survive off of local produce and bread for nearly nothing. We are somewhere in the middle as we each used 400 dollars (that’s 200/month) which ends up being about seven dollars a day. To give you a better idea about how much things cost, the cheapest room in any given city is 10$-15$ a night per person, and a ten hour bus ride costs about 30$-40$. Since we were cycling and living exclusively out of our tent, the only thing we were paying for was food. A kilo of tomatoes costs about a dollar, a pack of noodles fifty cents, a local soup and bread is two, and a meal out at a restaurant is five or six. 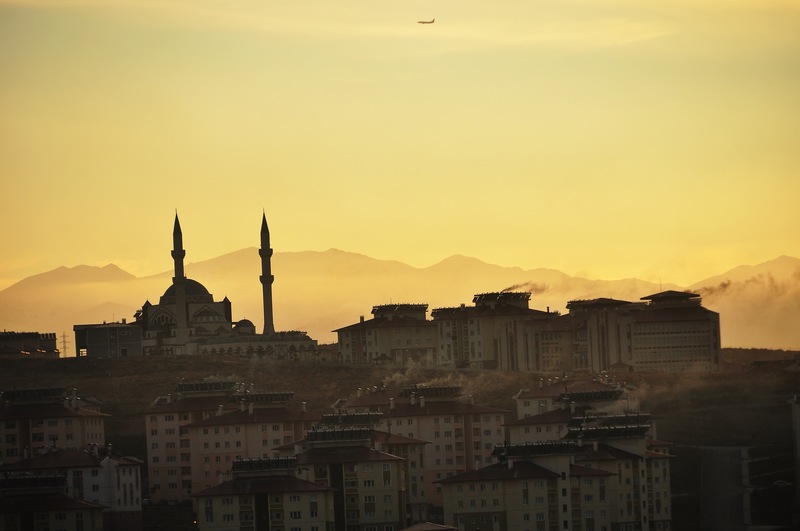 For more photos, make sure to check out tomorrows post which will be Turkey Through the Lens! This entry was posted in Turkey and tagged best food turkey, cycle turkey fall, cycle turkey winter, cycling across turkey, Cycling around the world, one month turkey money, price cycle turkey, route cycle turkey by The Wandering Nomads. Bookmark the permalink. Now I just want to get up and abscond to Turkey. Sounds like you had a really fantastic trip. One thing that did surprise me was the costs, I mean I understand that you were using bikes and a tent (which just make me want to adopt that idea even more) but still, it is a lot less than what I was expecting. I guess I should never assume the negative. 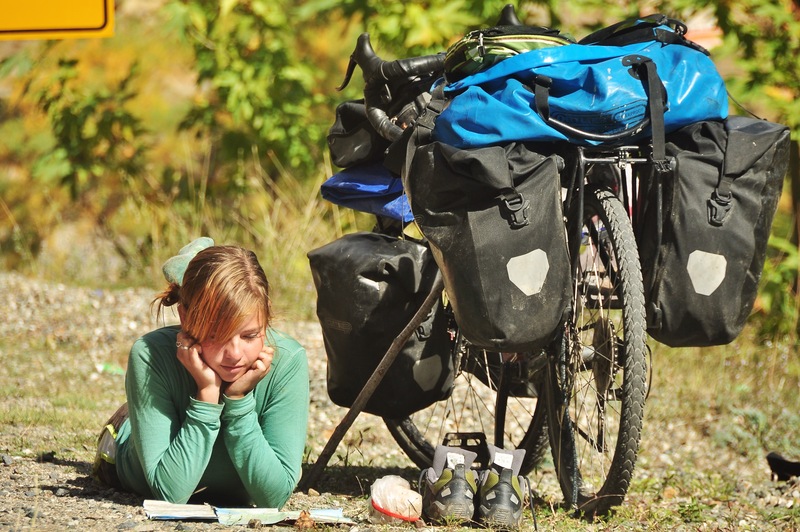 Yeah it is surprising how little someone needs to travel with a bike. That being said, on our month of vacation here when we weren’t biking we spent 700$ in a month, so quite a bit more! Reblogged this on Green Ride Bikers. Tell me more about the mountain home..omg..!!! it looks so fasinating..all stone walls..how does it feels to live inside a cave with home interiors..is it warm, how does it smell 🙂 wow, from now onwards Turkey is one place I’ll surely have on my travelling list! Thank you for sharing..keep riding! Hi and thank you both so much for this post! I am a solo female touring cyclist considering riding from Armenia to Istanbul (and beyond to London) starting in mid-March. Do you think this would be safe/possible? I am heartened by seeing posts like this, though I have also been warned about the Syrian refugee situation in eastern Turkey. What do you think? Thank you so much for your advice! Yes! Do it! Don’t listen to what anyone has to say about the east (much of western turkey – due to propaganda from the government – thinks all of eat turkey is scary and dangerous, which it isn’t at all!! ), I would highly suggest it! In the boarder towns like Mardin there will be refugees, but not up a big higher, and not as many as three months ago. Hey wandering nomads, this is a great post and the first photo is definitely breathtaking. Where the hell did u guys took that picture ? I am also in love with my country and u made me fall in love once again, thank you for this great shot. And get in touch next time please, to have some drink together.